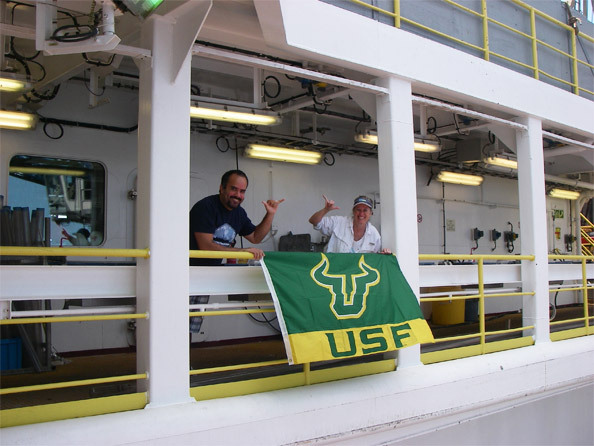 Michael Martinez-Colon (CMS graduate student) and I showing our USF support for the Men's Basketball team's accomplishments! Print article This entry was posted by greely on March 16, 2012 at 1:36 pm, and is filed under Oceanic Updates. Follow any responses to this post through RSS 2.0. You can leave a response or trackback from your own site.